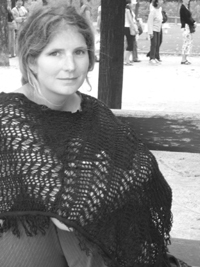 Johanna Skibsrud’s first poetry collection, Late Nights With Wild Cowboys, was published in 2008 by Gaspereau Press and was shortlisted for the Gerald Lampert Award. She has also published a novel with Gaspereau Press entitled The Sentimentalists. Originally from Scotsburn, Nova Scotia, she now lives in Montreal. Johanna Skibsrud’s debut poetry collection makes inquiries into that peculiar phenomenon of being alive in the world, opening wide moments of uncertainty in the search for a sense of inner resolve that resembles the outer calm of trees and neighbours. At each step testing the waters of her own words, Skibsrud turns her reality over in search of constants. Skibsrud’s is a world of touchstones. An abandoned boat, her grandmother’s house, a piano, and the annual departure and return of migratory birds are fixtures in the process of coming to know the self, serving both as rhythmic landings and as footholds in a pursuit of understanding. The collection’s title chapter is a series of takes on the Western genre, its character profiles, sweeping landscapes and the hyperbolic adventures to be had within. Whether based in Nova Scotia, Montana or Arizona, Skibsrud colours the facts with fantastical elements, transforming stories into ballads and road trips into cowboy-studded escapades. Finalist for the 2009 Gerald Lampert Award.